Easily serve a gourmet side and enjoy more time around the table. 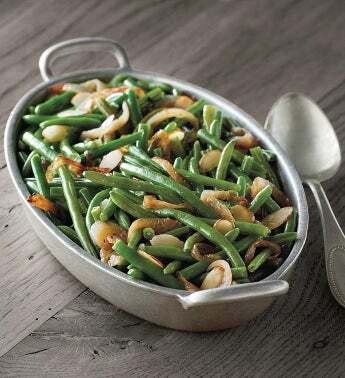 Crisp green beans are sautéed with sliced almonds in black truffle oil and then finished with black truffle shavings. This flavorful dish has an earthy goodness that pairs especially well with steaks, pork chops, or salmon fillets.